One of the things that every nerd loves to write is about books. Well, if you ask me about my favourite writer and then I have a very long list to show to you until you'll regret that you ever asked that question. However, I won't wait until you ask me that question because no matter what, I'll tell you. Well, I'm just kidding, even nerd knows how to kid, well, probably, knows a bit. Okaaayyy... I admit, I'm bad in making a joke. However, still, I want to tell you who is my favourite writer; she is Meg Cabot. I know, I know, you have prepared to close this page if I mentioned name like Fredrich Nietzsche or Aristotle, that is why I mentioned Meg Cabot to attract your attention. (I'm trying to make a joke and I think I'm failed -again-). Well, however please don't expect that I will write about Princess Diaries because though I love reading them but the series are so yesterday. Furthermore, there are a lot of series that you should read written by Meg Cabot and The Mediator Series is one that I really love. The Mediator Series are series that tell about the life of Susannah Simon who is falling in love with the ghost who stays in her bedroom in her step father's house in Carmel, California. So, it is a ghost story? Well, I can't say that because for me ghost story is supposed to be creepy and hair-raising but this one is not. So, I think it is not a ghost story though most of the characters in the books are ghost. The meaning of mediator is actually a person who is gifted with a kind of supernatural power so he/she could interact with the ghosts. Interact here is not only seeing but also talking, touching, poking, punching, kicking the ghost and in Susannah Simon's case, a mediator is also able to fall in love with the ghost. The use of eye glasses is already shifting from nerdy style to fashionable style. From the recent past years the number of people who prefer to use eye glasses is increasing because eye glasses is not only more practical than the use of contact but also right now the design of eye glasses could be mixed and matched with your current fashion style. However, you just have no idea where you should go for high quality eye glasses if you want to purchase them online. Speaking of where you should go for high quality and affordable eyeglasses online, could you find better offering than ‘buy 2 pairs and get one pair for free’ for eye glasses? Perhaps the answer is not because for all the affordability and high quality eyeglasses, there is no better option available online but Zenni Optical. This special offering is recently offer for all of you but only offered in a very limited time. So, if you don’t want to be the last person who get this big promotion, don’t waste your time, grab it fast and get the best quality of eye glasses with the best price deal you could find on web. Moreover, about this online eyeglasses store, perhaps it is the only place you could go for $6.95 prescription eyeglasses. So, what are you waiting for? Visit the online store right away and enjoy all the wide selection of eye glasses for you and your family. 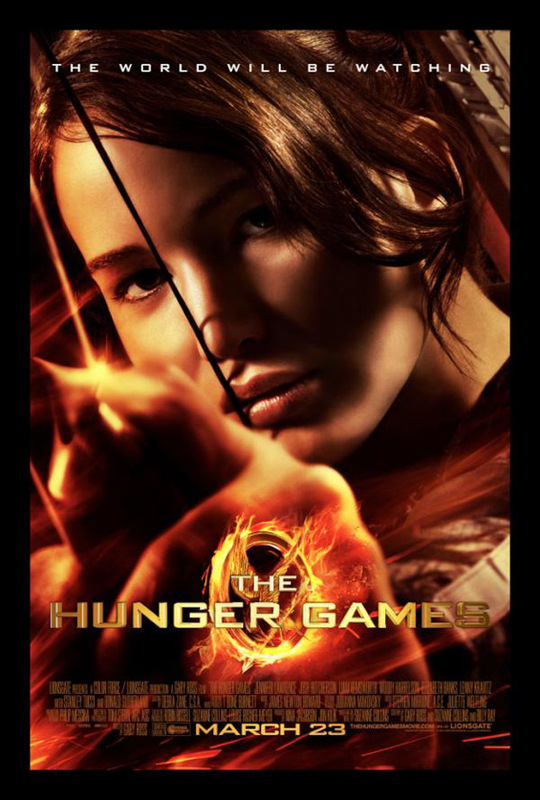 Speaking of my 2012 watch-list, The Hunger Games is totally on the top of my list. I have read the book, trilogy of The Hunger Games written by Suzzane Collins and of course I can’t wait for the film adaption. Well, it is true there are a lot of people speculating that this movie is going to be a big disappointment for The Hunger Games readers but still what you could expect? If the book is amazing, you cannot expect the movie to be more than that. There is no film which story is adapted from the books, especially best seller books, will gain more fans or better impression than the books. If it is based on the current plan, the movie adaption of The Hunger Games will be consisting of three movies, just like the books. For the plot, perhaps the director, Gary Ross will try his best to stick to the original plot of the book. So far, from the trailer I could see that the plot is based on the original plot of the book, however still you need to wait for the movie to be released this March to see the whole story because you cannot just depend on the trailer to see the whole plot of the movie. Simple example is Percy Jackson: The Lightening Thief which plot is totally different from the plot of the book though the movie trailer is simply stunning. You could cross your finger that The Hunger Games would be not ended like Percy Jackson because in the interview with MTV, Woody Harrelson who is currently casting as Haymitch Abernathy said that the main casts of The Hunger Games, Jennifer Lawrence, Josh Hutcherson and Liam Hemsworth have signed for the whole franchise. Furthermore, the sequel from the second novel of The Hunger Games, Catching Fire is already on schedule to be released on November, 2013. For the soundtrack of The Hunger Games, Taylor Swift has taken place as the song writer for the first single of the film’s soundtrack, Safe and Sound. In this song she is featuring with The Civil Wars. Some musicians like Win Butler, The Secret Sisters, Miranda Lambert, Neko Case up to Jennifer Lawrence are also contributing in the film’s soundtrack. Jennifer Lawrence is singing the “Rue’s Lullaby”. So, save your date for the first movie of The Hunger Games which is scheduled to be released on March 23, 2012. I was inspired by a friend. It was the rainy November and we just talked about the rain drops. Suddenly, a lot of questions buzzed in my head about the rain tales and stories. There are a lot of interpretations you could get just by hearing the rain drops. There are a lot of songs that are inspired by the drops of the rain. There are a lot of people out there who wait for the rain and there are also some people out there who curse on the rain. How about you? What is the meaning of rain to you? I found a very cool page named Earthian in Facebook. This page is especially established to inspire people about the importance of living in green. Some days ago there is a picture that was posted in the page, taken from 9gag.com. Perhaps you have seen the picture but I just want to share this picture wider and if you want you could share the picture as well, to inspire everyone around you about the importance of living in green. 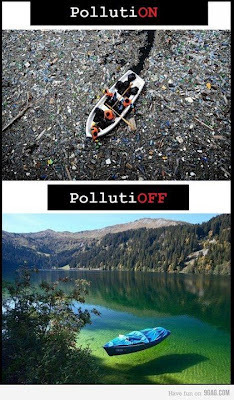 The title of the picture is very inspiring and at the same time is also interesting; it is PollutiON vs PollutiOFF. What do you see from February? 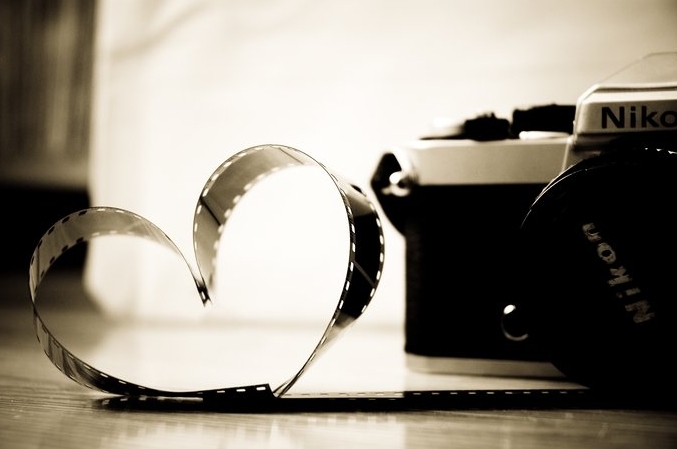 Most people out there would see February as the month of love but I see February as the month of opportunity. There is a business prospect you could get from this month and if I were Willy Wonka, I’m going to be a rich person this month. As a ghostwriter who works from home and has a lot of spare time, I could see this kind of opportunity a bit clearer than you are. Yes, for me February is not only a month of love when billions people worldwide are celebrating Valentine’s Day with chocolates and flowers because I’m not interesting to spend a lot of money to buy chocolates for my boyfriend. It is not because I’m not romantic or what but I think he doesn’t like chocolate as much as I do and I’m a kind of old-fashioned girl who would never buy a chocolate for a guy. So, yeah I prefer not to give him any chocolate. 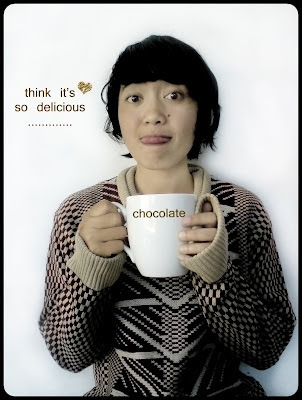 So, why I should talk about chocolate right now? Well, as mentioned above I see this opportunity a bit clearer than you are, instead of buying chocolate I prefer to selling chocolate. Well, actually you don’t need secret recipe to sell chocolate for Valentine’s Day because sometime people don’t care about how it tastes but they care about how it looks. You could visit several websites for the recipes. There are a lot of companies or home industries that you could cooperate with. You don’t need to get involved in the production because you just take place as a reseller. You must be surprised that there are a lot of people out there who don’t mind to spend a lot of money for chocolate this month. In other words, you could take this opportunity to make margin as big as possible as a reseller. I call myself a writer though I love music so much but I don't deserve the title as musician yet. However, I love writing music though I don't know how to read note. Today, I'm going to post something a bit personal; it is about the very first song I wrote when I was in high school. This song means a lot to me because it is the first song I wrote though I don't remember the reason why I wrote this song from the first place. However, some month ago I played this song in front of a guy I like as my expression that he and I (perhaps) were destined to be together. I was trying to tell him what I feel about him without reveal my true feeling. Since I'm the girl and I'm a kind of old-fashioned girl so I would never ask for a guy to be my boyfriend. It is very tricky but it works, well he's my boyfriend right now. So, perhaps this song could help you girls to tell the guy you really like that he should ask you out immediately. Some days ago I watched Abduction; a movie about a kid who is protected by a kind of secret agency because of his father has big secret to protect. Well, I’m not talking about the movie in this post because what I’m about to talk here is actually an actress that became the co-star of Taylor Lautner in the movie; she is Lily Collins. Yes, some of you might have heard about her since her father is Phil Collins, however when I watched Abduction, it was the first time I know about this girl and the first impression I got “wow, she is beautiful”. Lily Collins is a British-American actress because her father, Phil Collins is a British and her mother, Jill Tavelman is an American. Well, I’m a movie freak and one of the reasons why I don’t know about Lily Collins is because I never watch any movies or tv series where she’s starring at because so far her filmography are only two episodes of the new 90210, The Blind Side, Priest and then Abduction. 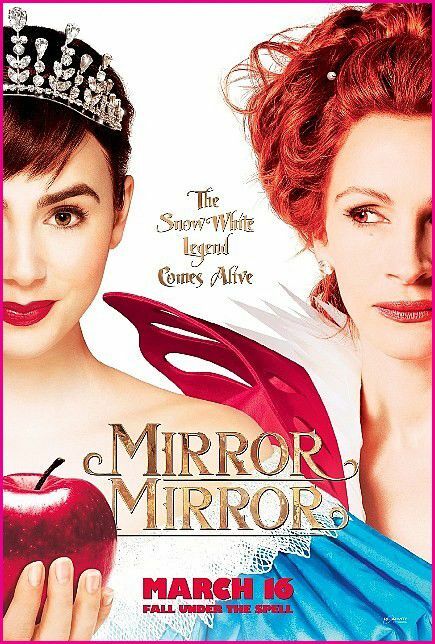 However, I could see that she would have bright future in Hollywood because after her appearance in Abduction with Lautner, she is currently casting as Snow White for Mirror Mirror; the new tale of Snow White and Seven Dwarfs which will be released this March. Well, I think Mirror Mirror is one of the movies I’ll put on my watch-list in 2012.